Women are conspicuously absent from the Jewish mystical tradition. Even if historically some Jewish women may have experienced mystical revelations and led richly productive spiritual lives, the tradition does not preserve any record of their experiences or insights. Only the chance survival of scant evidence suggests that, at various times and places, individual Jewish women did pursue the path of mystical piety or prophetic spirituality, but it appears that they were generally censured, and efforts were made to suppress their activities. This contrasts sharply with the fully acknowledged prominence of women in the mystical traditions of both Christianity and Islam. It is against this background that the mystical messianic movement centred on the personality of Sabbatai Zevi (1626-76) stands out as a unique and remarkable exception. Sabbatai Zevi addressed to women a highly original liberationist message, proclaiming that he had come to make them 'happy as men' by releasing them from the pangs of childbirth and the subjugation to their husbands that were ordained for women as a consequence of the primordial sin. This unprecedented redemptive vision became an integral part of Sabbatian eschatology, which the messianists believed to be unfolding and experienced in the present. Their New Law, superseding the Old with the dawning of the messianic era, overturned the traditional halakhic norms that distinguished and regulated relations between the sexes. This was expressed not only in the outlandish ritual transgression of sexual prohibitions, in which the Sabbatian women were notoriously implicated, but also in the apparent adoption of the idea-totally alien to rabbinic Judaism-that virginity, celibacy, or sexual abstinence were conducive to women's s spiritual empowerment. Ada Rapoport-Albert traces the diverse manifestations of this vision in every phase of Sabbatianism and its offshoots. These include the early promotion of women to centre-stage as messianic prophetesses; their independent affiliation with the movement in their own right; their initiation in the esoteric teachings of the kabbalah; and their full incorporation, on a par with men, into the ritual and devotional life of the messianic community. Their investment with authority was such as to elevate the messiah's s wife (a figure mostly absent from traditional messianic speculations) to the rank of full messianic consort, sharing in her husband's s redemptive mission as well as his divine dimension. 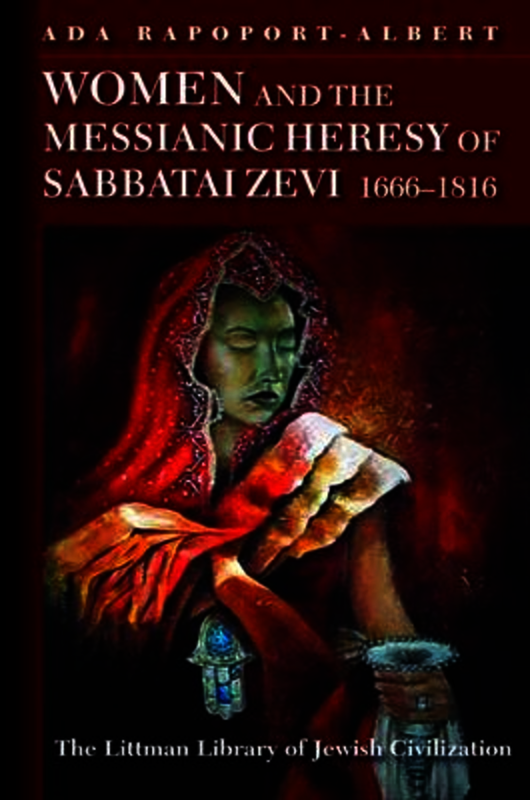 By the late eighteenth century, a syncretistic cult had developed that recognized in Eva-the unmarried daughter of Jacob Frank, one of Sabbatai Zevi's s apostate messianic successors-an incarnate female aspect of the kabbalistic godhead, worshipped as 'Holy Virgin's and female messiah by her father's devotees. This was the culmination of the Sabbatian endeavour to transcend the traditional gender paradigm that had excluded women from the public arena of Jewish spiritual life. This work is a translation by Deborah Greniman. Ada Rapoport-Albert is Reader in Jewish History and Head of the Department of Hebrew and Jewish Studies at University College London. Born in Israel, she studied at University College London, and has also taught at the Oriental Institute in Oxford and been a visiting professor at Harvard Divinity College. She is the author of various studies on the history of hasidism, and the editor of Hasidism Reappraised (1996), published by the Littman Library, of Essays in Jewish Historiography (1988) and, with Steven J. Zipperstein, of Jewish History: Essays in Honour of Chimen Abramsky (1988). Her forthcoming books, to be published by the Littman Library, include Female Bodies, Male Souls: Ascetism and Gender in the Jewish Tradition, Emergent Hasidism: Spontaneity and Institutionalization and Messianic Hasidism: From Nineteenth-Century Bratslav to Twentieth-Century Habad.